It’s NOT the Polar Express! But it’s just as good, if not better! I have brown teeth, yes I do. Probably because I drink diet cola like a vampire gulps blood! I have often used Crest White Strips – I keep them on hand – for those special dates and for when I have to take a picture (YHEW) for The Review Broads. And quite honestly, I can’t quite put my mouth in one of those cases that the dentist uses to clean teeth – I gag, and am always afraid that I will vomit on the dentist’s lap. It has happened before. Coward? You said it! So when I got the chance to review a brand new product from Crest, I screamed YES to Broad Z (I actually screamed YOU CAN’T HAVE THEM – they’re mine!). Now I don’t believe in Santa or in miracles (I do like genies and poltergeists, but I digress), so when I tried out the two hour white strips, I expected a little bit whiter – just a bit – so I could smile big in my pictures instead of smirching my lips closed. I was amazed at the results. I would have to say my teeth are about 5-6 shades whiter. Although the white strips tingled slightly, I read and reviewed a book while I created WHITE in my mouth. The strips were not uncomfortable and it was not difficult to leave them in for two hours. (The review, however…). I loved that I didn’t have to pay $300 for pearly whites and that I didn’t have to leave my bed in order to make my mouth presentable! These white strips are unusually effective. And the results last three months! Since I have always liked Crest White Strips I was ecstatic. You have NO idea what it is like to be a Diva with a bad smile. Or do you? The directions are so simple: simply unwrap the package and place the strips on the bottom teeth first, upper teeth last. Also, Crest will refund your purchase if you are not happy with the results. My boyfriend Bob said to me this morning, “Did you change your lipstick? You look beautiful!) (No lie, he tells me I look beautiful every day – he’s a winner!) And so is this product! I eat berries a lot and juices and raspberry and blueberry stains are NOT becoming, although we all know that they have antioxidants (But that’s another review for another day). I say if you want your holidays to sparkle, HURRY and Pre-Order these White Strips! I place great importance on my makeup and buy the best. I spend tons of money on clothes. I go to the doctor regularly and work out. But the best thing I did for myself this month was ATTACK these brown teeth and give them a Crest whitening. Don’t forget – this month and the next are stressful. We will be smiling constantly. Don’t forget your teeth in all the ra ta pum pum pum of the holidays! Crest White Strips will be available beginning January 2011. If you want to get them BEFORE January (for your holiday parties, New Year’s Eve celebrations, etc. ), we have the PRE-SALE link for you! 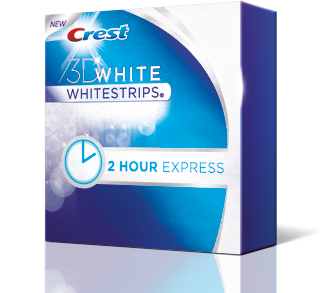 By going to Crest 3D White, from November 16th – December 19th, you’ll be able to purchase and receive the 2 Hour Express Whitestrips before they hit store shelves in January. With this order, you’ll receive 25% more product free, which includes a free Crest 3D White Multicare whitening rinse (an $18.25 retail value). * This giveaway is open to US residents, 18 and over and ends on December 21, 2010 11:59 EST. Tweeted about the Giveaway as @mamawantstowin. I subscribed to The Review Boards! I like the Boards on FB! Boy, do I need these! My little grandbaby asked me one day “Nana, why are your teeth yellow?” LOL Sad, but true. Too much coffee!